Running over two time slots, tickets will be £5 and can be purchased via our website. ALL ticket sales will go to Saint Michael’s Hospice as will all bar sales on the day. 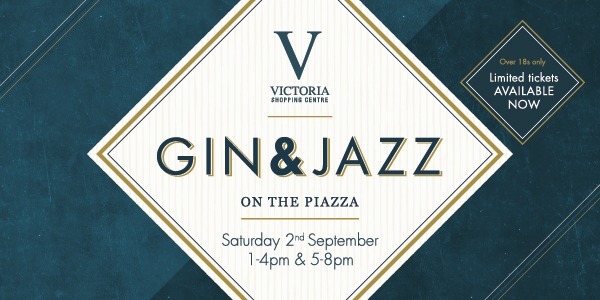 Plus with all tickets, you’ll receive a free Victoria Shopping Centre gin glass. This is something completely new for us, but we’re very excited about it and we hope you are too! Can tickets for Gin & Jazz be bought on the day?